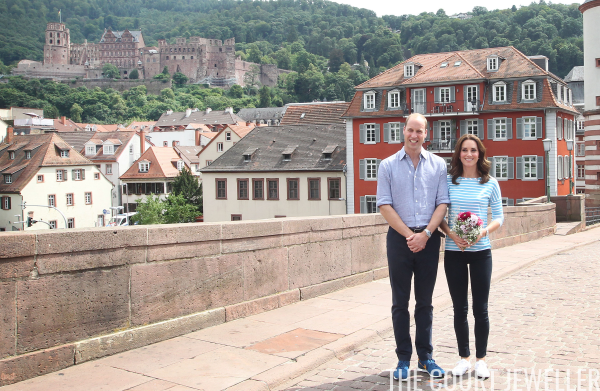 For the second day of the Duke and Duchess of Cambridge's visit to Germany, the royal party headed to Heidelberg. 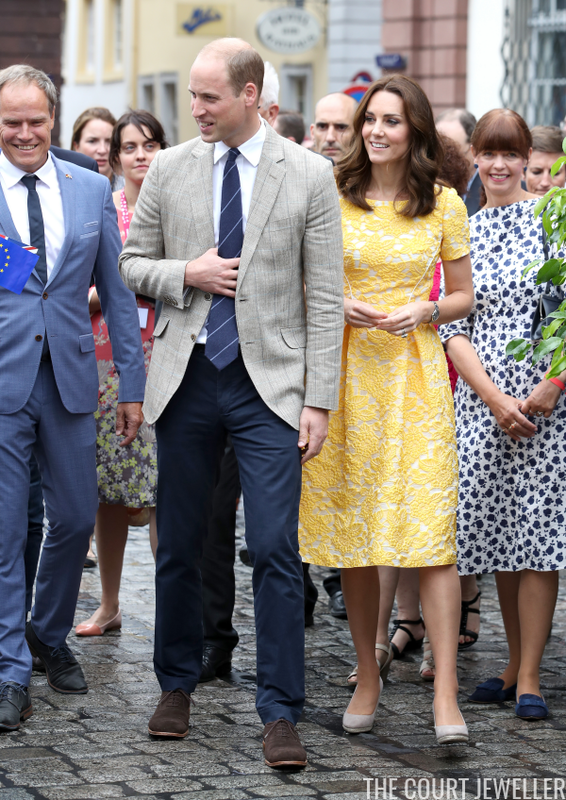 William and Kate had a packed morning, exploring the local castle ruins, visiting a cancer research center, and touring the city market. 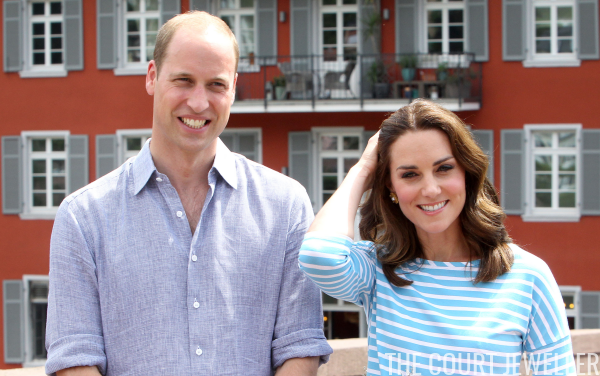 With her Jenny Packham dress, Kate wore a new pair of earrings. 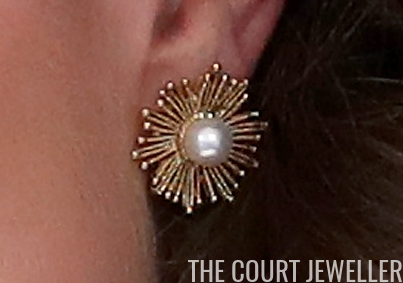 These are the Pearl Sun Star Button Earrings from Oscar de la Renta. Here's a closer view of the design. The earrings, which retail for $175, are gold-plated and set with Japanese resin pearls. 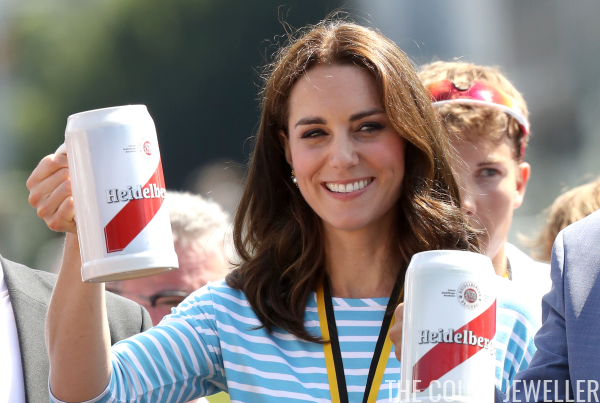 For a friendly boat race in the afternoon, Kate changed her outfit, but she wore the same jewelry. Here's a view of the Oscar de la Renta earrings with Kate's Cartier watch and her wedding, engagement, and eternity rings during the race. 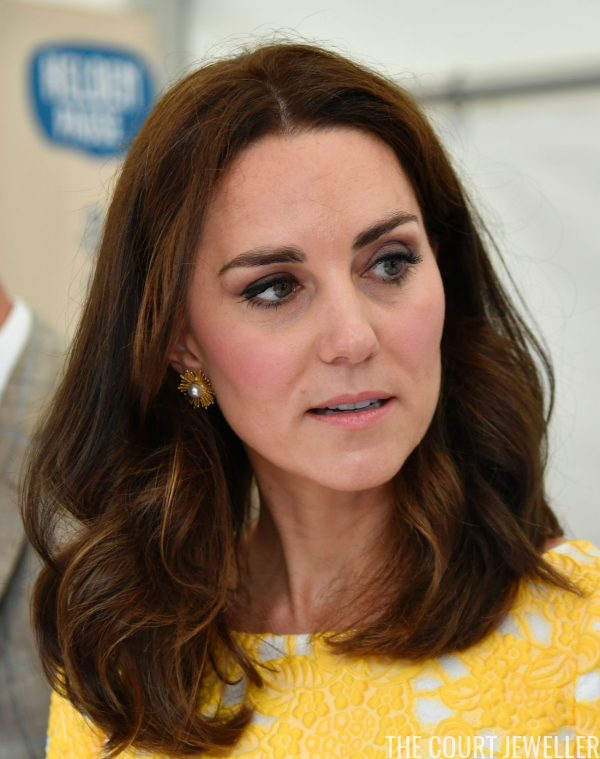 What do you think of Kate's new earrings?